You are here: Home > TmoNews Celebrates It’s Third Birthday! 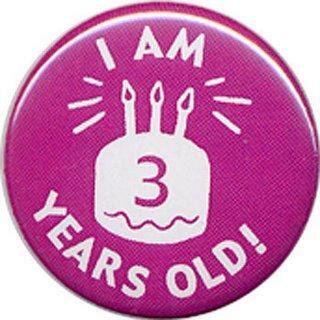 Today is a special day in the TmoNews world as we celebrate our third birthday!! That’s right, three years ago today TmoNews was founded and began delivering all the T-Mobile news, reviews, rumors, leaks and everything else we could find that related to our beloved Magenta. It’s been a terrific ride and we’re looking forward to an amazing fourth year. While the T-Mobile faithful are understandably preoccupied by the coming AT&T merger you can rest assured that TmoNews will live on even if we have to put a (GASP!!!!!!) death star logo at the top of the page. We’ve known this day might come for some time and plans are in place to continue the site you know and love! Thank you all for visiting and loving the site from the very beginning. It’s you the readers who make the site as great as it is. Waking up and delivering T-Mobile every day is a dream job come true for me and you all make it worth it. Hope you’ll join us as the TmoNews journey continues! Congrats on 3 years of providing great news and insight. Keep it up! The site is great david! I started following this blog in 2009 and idk remember how i found it but i did and i have loved it ever since. thanks for the great work! Happy Birthday and congratulations. No matter happens to T-Mobile you guys have been doing a great job. HAPPY BDAY! I didn’t realize how young this site was! I must have found it when it was brand new! Same here, I’ve been following since the first android phone the T-mobile G1. I love this site and I love getting news from this site. David, thanks for all the hard work bro. Hope many more years to come for your site. Wow, I’ve been following almost since day 1, but never knew how young it was because it’s always seemed so professional. Kudos. Care to speculate on years 4,5,6? I believe I did that in the post. Awesome news! Excellent site and great journalistic integrity demonstrated by all your posters.. Here is to many more years without that hated death star logo! Happy B day ! I must of been reading this site right when you started it 3 yrs ago and didn’t realize it. Thanks for all the great work keep it up ! Happy Birthday! I’m a newbie to the site as I just became a T-mobile customer back in October. I was getting away from the dreaded AT&T (jokes on me) and found your site. I’ve been a daily visitor since. Thanks! Happy 3rd Burpday Tmonews!!! Now I wonder when I’ll be hearing about some Nokia N950, Intel or Aava Meego news coming to our beloved Maggy? Oh and I may FINALLY be getting off this 5th HD2 and moving to the Pyramid!!! Hopefully it comes out next week, if so, I’ve waited a year and have been through 5 HD2’s and FINALLY, I mean FINALLY, My Time has Come!!! The Power is YOURS!!! Congratulations guys keep up the good work! Happy B Day, my first and most trusted site for news on T Mo. If it wasn’t for this site i would be buying a phone not knowing that the newer version of that phone that i just bought would come out a week later! Great site. Your ninjas are doing a great job! thank you master splinter! Happy Birthday! Thank you for all of the great info! :D 3 Years & counting… 3 years to the best T-Mobile blog that’s ever been around, delivering the fastest, most reliable, detailed news possible. I’ve been coming to the site since the beginning. I don’t comment much anymore but I definitely visit daily. I’m glad the site will continue with or without at&t, preferably without. Keep up the good work David. around of applause! hehe nice work guys.. Happy Birthday Tmonews! i love this site, its the first i check when i wake up and before i go to sleep. Well seems like TmoNews is going to die at age 4 when the merger is complete. But I bet David is praying the FCC never approves the merger. Did you read the article? Honestly, did you not see the sentence regarding this specific matter? Jlo? That’s a new name for you. Happy Birthday!! and a big Thank You for all your hard work. Happy Birthday to the TmoNews staff. I’ve been coming here ever since you guys first started out and love the job you all do! If I may make one small criticism, there seem to be way too many ads on here (I know you need to make some money to run the site) but maybe you could cut down on the amount of advertisements that appear on the page? I just feel like it takes away from viewing articles when the reader gets bombarded with pop-up Verizon ads and things of that sort. Not knocking you whatsoever, just giving some constructive criticism. Besides that excellent job and keep it up! You’ll have a lot more reporting to do once at&t takes over. Good luck. Well I’m not going to say happy b-day because seriously, this shouldn’t even been an article. I never even heard of this site til a few days ago and I been with T-mobile since 2005. There should be a banner at the top of this blog that says 3 year anniversary instead. Better hope AT&T doesn’t get approve… if so… you can kiss “TmoNews” goodbye!! Wow, comment fail! Maybe you didn’t read the article close enough. I was just thinking today about the future of this site. I was trying to come up with different names, depending on whether you stuck with AT&T, or moved to a different carrier to blog about. My favorite was OnTheVerizon.com. No matter what happens, I look forward to many more years of David’s excellent reporting (not to leave out the rest of the excellent TmoNews crew). Hippo birdies! Happy B-day TmoNews…… Keep up the good work no matter what. Thank you David. HAPPY 3RD BIRTHDAY TMO NEWS!!!!! Any idea on how to make some magenta colored drinks?? Oh wait…no, Tmo is 3..lol, oops! Then let’s get the party rolling!!! Lol. I’m really glad tmonews is going to stick around. I think you guys do a great job reporting the phone news I actually care about. I also look forward to a full review of the godlike G2X. Happy B-Day TmoNews. Been here since the beginning. Congrats gents and THANK YOU! Congrats on a great site, and thank you for all of the timely and great news. Happy Birthday TmoNews. Thanks for all the news and support. More years with you God bless. Happy birthday tmonews thanks for all the great info and help. Stay strong I’ll always tune in daily! happy birthday, keep up the good work! Hey David did Tmobile get you anything? Yeah right, in my dreams. Been an employee two years with the company and i read this website every morning before i head to work. Appreciate all you guys do. Haha never thought of seeing the AT&T logo as a death star. That’s a good one haha! Thanks for keeping us informed this site has always been my daily stop. Happy Birthday! TmoNews Team – Congrats to you all and thanks for all the work you guys put in. Ignore the handful of negative nellies on here and keep up the good work. Huge thanks to David and the crew. I am a T-Mobile fanatic and discovered this site about a year ago. I made TMoNews a part of my daily visits since. Happy birthday. Glad to be a mod here. so will there be a 4th birthday after the merger? I HOPE THERE IS!!! Happy bday Tmonews, your doing a great job David. Congrats on THREE YEARS! I’ve been following for about two of those, and love checking in one or twice a day to see the latest news, rumors and updates! You rock, and hopefully you’ll bring this same spirit and dedication along IF/WHEN AT&T and T-Mobile do their thing. Happy Birthday T-Mo News! The question is,will there a T-Mobile for year 4? Happy Birthday Tmonews! Wow I’ve been following you guys for that long and this site has come a long way since then. I tell people to follow this site, Twitter and Facebook all the time. This site and Engadget are probably my most visited sites… Has turned me into quite the techie… HBD tmonews… G2X!!!!!!!! Thanks for all you do!!! I love this site, and I’d love it more with some Galaxy S2 news ;). Thank you for all the inside peaks and details! Cheers to one of the best blogging sites in the world! lol funny how one spelling mistake can change the whole meaning of a message haha. David, I discovered your site by accident about a year or so ago, and boy am I glad I did:-). Happy 3rd Birthday! Happy 3rd Birthday! I discovered this site a couple of years ago and still check it almost daily, sometimes 3-4 times a day. Thanks for all the work! i discovered this site a few months back before i even had tmobile but i love your site! Been a T-mobile customer since Voicestream, and accidentally stumbled on your site a couple month back, and boy it was a great find! Happy 3rd!